Welcome to the blog specifically designed to keep skin care professionals informed on the newest advances in ingredients, treatments, and equipment. Calling all female leaders and women who aspire to leadership in the wellness industry! 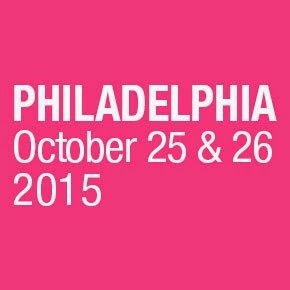 @americanspamag is curating its first-ever conference designed just for you! American Spa’s Women in Wellness Leadership Conference in NY will address some of the most pressing issues facing women leaders and leaders-to-be with compelling keynote speakers and breakout sessions. Milia - what is it? • Milia is the most commonly used term, it’s the plural form of milium, since many are usually found together. • Milia occur when keratin becomes trapped beneath the epidermis. 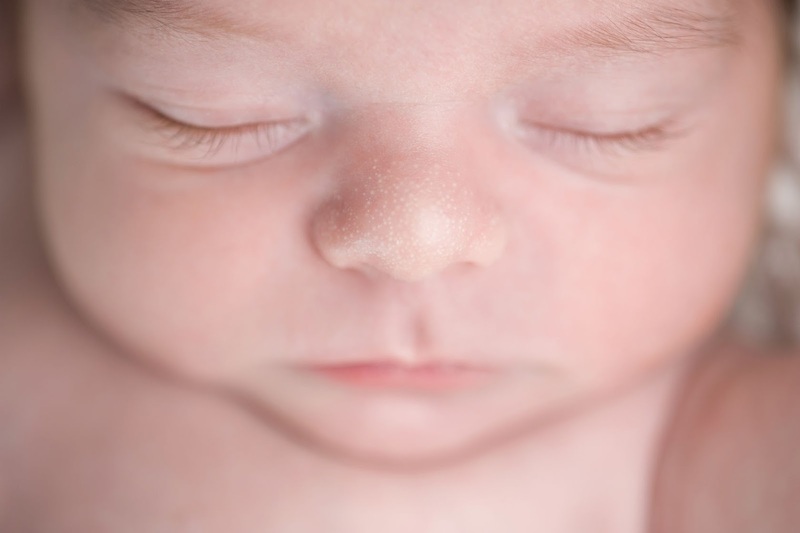 • Milia can occur in people of all ages, but they’re most common in newborns, affecting up to 50% of them. They’re typically found on the face, eyelids, and cheeks. • Newborn milia are often confused with a condition called Epstein pearls, which involves the appearance of harmless white-yellow cysts on a newborn’s gums and mouth. • In adults, the use of steroid creams can lead to milia on the skin where the cream is applied. However, such side effects from topical medications are rare. • The most common reason milia form is from using heavy skin care products or hair care items. Comedogenic creams and lotions may prevent the sloughing of dead epidermal skin cells. • A common method that a dermatologist will use to remove a milium is to nick the skin with a #11 surgical blade and then use a comedone extractor to press the cyst out. 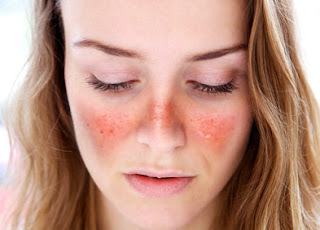 • Milia can also be associated with certain skin diseases, particularly blistering disorders such as Porphyria Cutanea Tarda. It manifests along with blisters on the backs of hands and knuckles. Join the waitlist to be notified when our newest peptide anti-aging masks arrive! This gentle Lyocell mask replenishes the skin’s moisture levels with hyaluronic acid, and reduces the appearance of fine lines and wrinkles with Argireline. This mask’s soft blend of allantoin and seaweed extract soothes, and nourishes the skin without any added parabens, fragrance or color. Store it in the refrigerator, and apply after RF treatments, or micro needling, or store it in room temperature for daily use. This mask comes in a pack of 5, and was created as a follow-up after the FirmAge machine. The raw material that makes lyocell is wood. It’s a environmentally green material, because this cellulosic fiber is harmless to human body, and can be completely decomposed in the earth! Imagine cotton’s high absorption, the stretch of polyester, and the soft and comfortable feeling of silk. It comes pre-soaked with gel inside the pouch, and doesn’t rip during application. This is a brand new type of fabric, and these masks perfectly hug facial contours for better penetration of active ingredients. As we know, treating acne requires a proper at-home skincare regimen, an understanding of our allergies and intolerances, and regular visits to an esthetician. A knowledgeable skin care professional will use a variety of professional products and modalities to deeply cleanse, exfoliate, de-congest, and disinfect the skin, as well as soothe and heal the inflammation associated with acne. 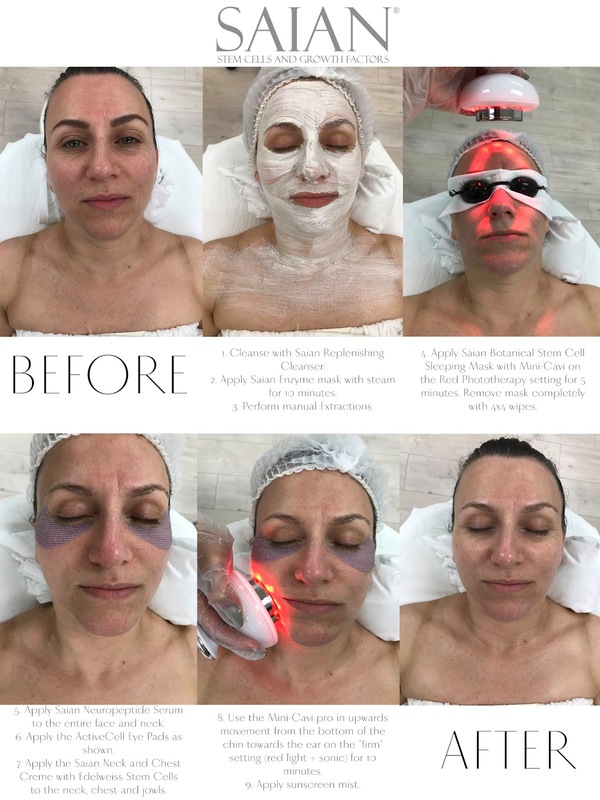 There is a myriad of different devices and modalities available to perform a service for acneic skin, but I will focus on a few of the most commonly used among skincare professionals. 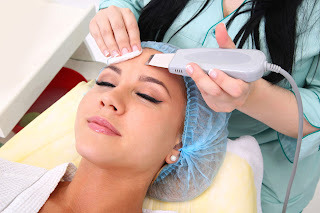 You may check with your state’s Board of Cosmetology to see if a device is allowed to be used in your state by licensed estheticians, or just by medical personnel. One of the first modalities we use in school is galvanic. Galvanic current is a constant and direct current (DC) that uses a positive and negative pole to produce the chemical reactions when it passes through tissues and fluids in the body. For acne clients, we use desincrustation. Desincrustation is a deep cleansing treatment that softens and emulsifies sebum, and is the ideal treatment for oily or congested skins preparing the skin for extractions. It should be done after cleansing the skin, using desincrustation fluid - a type of alkaline solution made from sodium chloride (table salt). Although this is a very commonly used machine in our scope of practice, don’t forget to make sure the client fills out the consultation form, and is not contraindicated to receive a galvanic treatment. Contraindications for using a galvanic device are: pregnancy, metal implants/pins in the face or body, epilepsy, pacemaker, and high blood pressure. 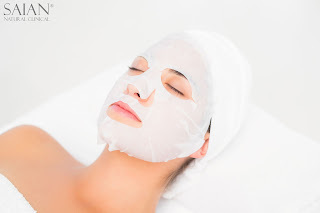 Another great way to cleanse the skin is by mode of ultrasonic exfoliation. An ultrasonic skin spatula or ultrasonic skin scrubber is a small hand-held device that features a thin plate that vibrates 28,000-30,000 Hz per second, and removes dead skin cells, dirt, and debris. The spatula works by creating high speed oscillations that extract pores without pain. 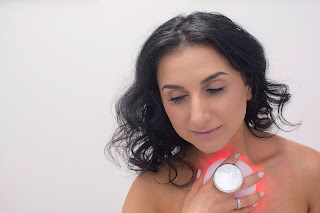 For those clients with sensitive skin, ultrasonic exfoliation is a wonderful alternative to skin-cleansing brushes and microdermabrasion (both of which spread bacteria and aggravate redness and discomfort). The esthetician controls the pressure, angle and direction of the spatula to delicately work debris from the clients’ pores, focusing on problem areas and exfoliating the skin gently without aggressively brushing or peeling it. Since you are using water or a hydrating toner with the spatula, and not a gritty scrub, your clients’ skin will feel very clean and smooth after the treatment. In addition to these devices, another basic tool we are all familiar with is the high frequency machine. The high frequency machine is used after extractions on clean skin, or over gauze to close the pores and kill germs and bacteria. High-frequency treatment uses low-current high-frequency alternating currents, delivered via a glass electrode. Because the high frequency current converts some of the oxygen in the air into ozone, the treatment has a germicidal action, and is also drying and warming. Consequently, the treatment is used to aid healing and also to help desquamation and stimulate sweat and sebaceous glands. At up to 250,000 Hz frequency, the hollow glass electrode behaves like a glow discharge tube. 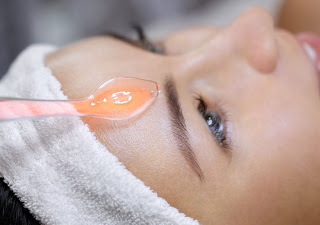 When applied to the surface of the skin or scalp, a mild high frequency current passes through the neon or argon gas filled glass electrode causing it to light up with a neon orange or argon purple glow. Cleanse the skin first, exfoliate, and perform extractions. Then, after the extractions have been performed, treat blemished area by lightly whisking the glass bulb tip of your high frequency wand across the surface of the client’s skin using circular motions. Concentrate on larger blemishes and the areas most affected for at least 30-40 seconds. The total treatment time with a high frequency machine is 3-5 minutes, and treatments can be repeated every other day. Similarly to the galvanic machine, the contraindications for this device are: pregnancy, metal implants/pins in the face or body, epilepsy, pacemaker, high blood pressure. To kill acne-causing bacteria, and reduce inflammation, one of the best modalities is LED – light emitting diode - a tiny computer chip encased in glass. Blue LED therapy for acne is non-invasive, painless and requires no recovery time. It is safe for all skin types and tones, and requires only 5 -15 minutes. The best combination of lights for acne is blue and red together – the blue kills germs and bacteria that cause acne, and the red renews the skin, and encourages new collagen production. Such lights are available for home use in a handheld, as well as panels for faster and more convenient treatment room services. Cupping, a favorite of mine, is highly effective for cystic acne. In Traditional Chinese Medicine acne is often caused by heat, dampness, and stagnation, and cupping is effective at reducing heat and moving stagnation. Cupping is performed by depressurizing the inside of the cup with a flame or a vacuum, so it then lifts up the skin below it. Traditionally cupping works to increase circulation and remove heat from the body, and is used for a wide range of conditions including stress, muscle pain, arthritis, chest colds and fevers, and even some skin conditions. Plastic and glass are the most common materials used today. Cupping therapy types can be classified into four main categories. Cups may range in size from 1 to 3 inches in diameter. Dry cupping commonly involves creating a small area of low air pressure next to the skin. The low air pressure required may be created by heating the cup or the air inside it with an open flame or a bath in hot scented oils, then placing it against the skin. As the air inside the cup cools, it contracts and draws the skin slightly inside. More recently, vacuum is created with a mechanical suction pump acting through a valve located at the top of the cup. Fire cupping, my favorite (pictured), involves soaking a cotton ball in alcohol, then clamping it by a pair of forceps, setting it on fire and, in one motion, placing into the cup and quickly removing. Then, the cup is placed on the skin. Fire heats the inside of the cup and a small amount of suction is created by the air cooling down and contracting. Massage oil may be applied to create a better seal as well as allow the cups to glide over muscle groups in an act called "moving cupping". Immediately after, dark circles will appear where the cups were placed because of rupture of the capillaries just under the skin. Wet cupping, or Hijama, is performed by letting the area under the cup fill with “bad” dark blood. The cups are applied to the skin using the fire or suction method, and left to cling to the skin for a few minutes, then it is lifted off and several very small incisions are made in the skin. The cup is then put back as it was before until the flow of blood subsides. Hijama is considered a form of energy medicine because it has been claimed to "unclog" purported meridians in the body. When treating inflammatory conditions, such as acne, the goal is to remove heat and toxins. This is generally done through cupping on the back, even if the acne is on the face or chest. There are a number of small studies and reports for cupping alone or in combination with other therapies that have been successful for treating acne, particularly for inflammatory and cystic acne. In TCM, it is very common to combine cupping with other modalities such as acupuncture or herbal medicine. A meta-analysis of cupping concluded that cupping alone or in combination with herbal interventions is more effective than herbal interventions alone, and cupping combined with acupuncture was found to have a trend toward being more effective than acupuncture alone. A study that examined cupping found that 10 out of 11 people with acne had improvement in their symptoms. In these patients, cupping also reduced inflammatory chemicals circulating in the blood. 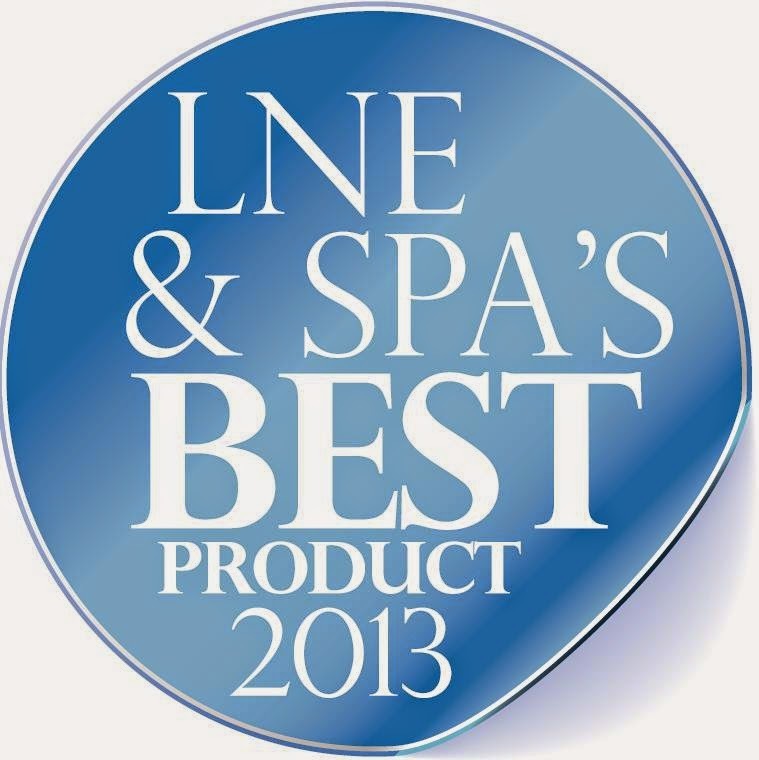 The inspiration for SAIAN Natural Clinical Skin Care comes from our customers. We are not just a skincare company, we are a lifestyle brand, dedicated to bringing our customers the best in skincare, anti-aging supplements, ergonomic equipment, supplies and education. 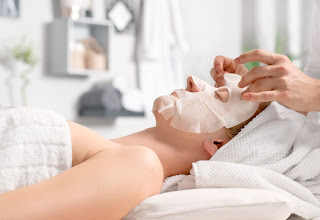 We are the esthetician’s partner in creating her most successful beauty business - no minimum order, $2-$7 cost-per-treatment, free samples, and support from our friendly staff. We don’t do fulfillment, or set the prices, and we discourage online sales that are less than double wholesale price. Of course, all the images and descriptions are provided by us! How many of us have heard about facial exercises or face yoga, but are unsure if these methods really work for tightening sagging skin? There are a number of YouTube tutorials, as well as books on the subject, and miscellaneous information available online, which may confuse the general public. Articles in Cosmopolitan and Marie Claire boast facial exercise as an effective solution to a younger face – if muscle training works to strengthen the body, it must work the same way on the face, right? The reality is, there has been absolutely no research confirming this to be true. On the contrary, plastic surgeons unanimously agree that facial exercises can indeed cause deeper expression lines, and more wrinkling, but why? The hypodermis (subcutaneous tissue) is mostly made up of fat tissue and fibrous bands that anchor your skin to the deep fascia. This layer may vary in the body from very minimal, such as in areas of the eyelids, or as a thick layer as in the fat around the abdomen and waist. Hypodermis aging is observed by the loss of fat tissues which affects the shape of our face, neck and hands, i.e. sagging skin. Our cheeks and eye sockets may hallow out, and the skin on the neck, breasts and hands may lose its firmness. Muscular stimulation by facial exercise doesn’t correct this issue, furthermore, more expression lines are created in the areas where the hypodermis is thinnest. Through repeated strenuous facial muscle engagement, more lines are formed in the same way crow’s feet, marionette lines and forehead wrinkles are created naturally. What methods actually work to reduce sagging skin? Manual facial stimulation such as Dien Chan multireflexology, facial acupressure, facial acupuncture and European massage are all effective at toning the facial muscles and stimulating circulation, which gives a plump, revived appearance to sagging skin. 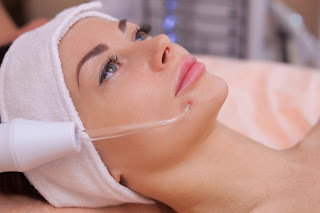 There are also numerous devices to tone and lift sagging skin, including microcurrent machines, phototherapy LED, and Radio Frequency modalities. In a medical setting, machines such as ThermiTight, ThermiSmooth, IPL, Fractional laser are all beneficial in tightening the skin, without surgical involvement. Topical products based on hyaluronic acid, peptides and growth factors hydrate and nourish the skin, giving it a supple and youthful glow. In addition to anti-aging products, regular use of sunblock protects the skin from sun damage and elastosis. Hyaluronic acid supports the structure of connective tissue by acting as a water magnet to maintain extra-cellular fluidity. HA forms a viscous fluid with exceptional lubricating properties necessary for the vital functions of many parts of the human body including the skin. If sagging skin is a concern, 200mg of hyaluronic acid may be taken as a dietary supplement, as well as 6000 mg of bioactive collagen types 1 & 3. We will be presenting a new stem cell, growth factor, and peptide class in Las Vegas at IECSC next week, so I decided to have a friend come in to try the new products and get a facial! Super simple protocol for a refreshed, tight and firm result in 1 hour. 4. Apply Saian Botanical Stem Cell Sleeping Mask with Mini-Cavi on the Red Phototherapy setting for 5 minutes. Remove mask completely with 4x4 wipes. 6. Apply the ActiveCell Eye Pads as shown. 7. 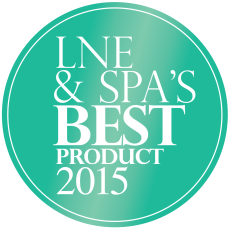 Apply the Saian Neck and Chest Creme with Edelweiss Stem Cells to the neck, chest and jowls. 8. Use the Mini-Cavi pro in upwards movement from the bottom of the chin towards the ear on the "firm" setting (red light + sonic) for 10 minutes. Dasha, please share your story with us. How did you get to where you are today? In 2007, my mother and I started our skincare brand out of our kitchen with only $3,000. At that time, I was finishing college, working at a spa as a receptionist, and going to beauty school for my esthetics license. I remember we used to sit and fill bottles with serums and cremes all evening, and stick labels on them, so that we could drive to San Diego at 5am, to teach a class at a beauty school at 8am, and hopefully sell something. The first couple of years were tough – we were operating out of our apartment, which meant living with boxes everywhere! I had boxes with bottles and jars in my bedroom, and I remember we could never really have company over because the amount of boxes was overwhelming. After 2 years in business, we moved into an office, but it was tiny, and didn’t have a warehouse, so we kept all the boxes with packaging and product in a storage unit, and drove back and forth a million times every day. Now, 10 years later, we operate out of a 4,400-square foot building with a training center and warehouse, and have distribution in 16 countries, including a beauty school in Sweden – “Saian Academy”. In 2013, we were shocked to discover that my mother had grade 4 Glioblastoma, a malignant tumor the size of a baseball in her brain. Needless to say, I put my business on the back burner for two and a half years, as I stayed home to take care of her and my 86-year-old grandmother. This meant 2 brain surgeries, recovery and physical therapy to walk, special organic diets… everything we could do. In the process of learning about my mother’s illness, I became an expert on oncology care, and alternative treatments. I also became more aware of the stress that we both had put each other through at work. From that point on, all the little meaningless things that used to irritate me, no longer mattered – this was the wake-up call I needed to learn to pace myself in life and in business. After my mother passed, I found myself absolutely engulfed in my work – it was, and still is my happy place. Surprisingly, as I relaxed about making money at work, and focused on providing a better experience for my customers, everything fell into place, and we actually made more sales! 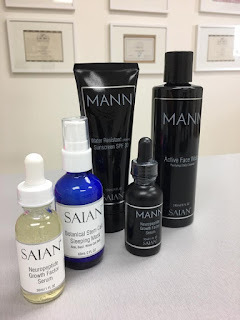 Saian Natural Clinical Skincare is a professional skin care brand that works directly with estheticians. 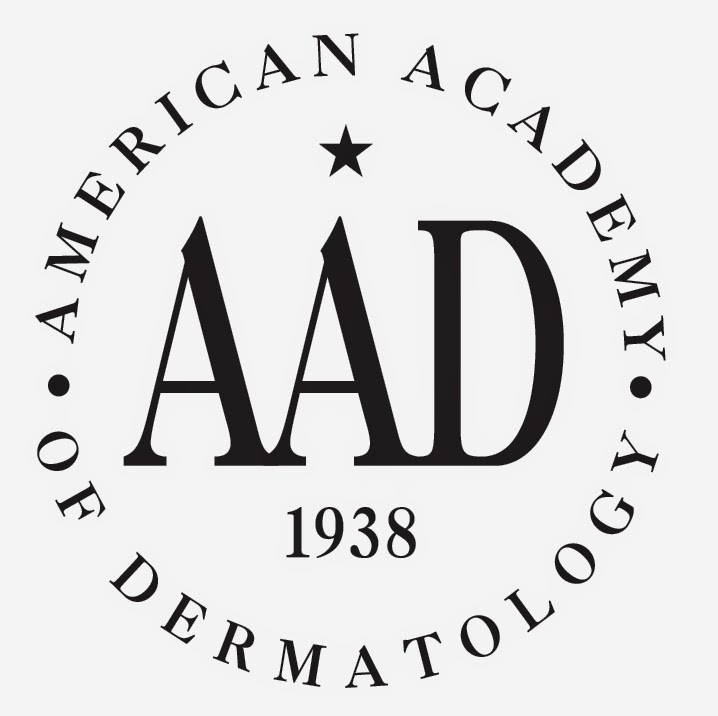 We provide skin care professionals with the highest quality anti-aging, anti-acne, and anti-hyperpigmentation products, as well as valuable training and certification. We train at our North Hollywood location, as well as internationally – our “Saian Academy” in Sweden certifies esthetics students in skin, bodywork and nails. Saian skincare products are amazing in that they are paraben-free, fragrance-free, with no added artificial colors, and not tested on animals. Our products are proudly made in USA, and contain the highest concentration of active ingredients, making them clinical strength but affordable and natural! I was born in Moscow, and lived there until the age of 12. My grandmother raised me, while my mother was living in Los Angeles and trying to get her citizenship to bring me over, as well. I was a total tomboy, refused to play with dolls, and was always outside getting into mischief- climbing trees, bringing stray cats and dogs home. I remember my report cards always looking the same way – “A” for every subject, and “U” (unsatisfactory) right next to it, in the column for “behavior in class”. I was a class clown, what can I say, I had to do it for my fans! As far as interests, I was absolutely obsessed with Egypt, and everything that had to do with Greek Mythology. Also, my love affair with languages started at an early age. By the age of 16, I spoke English, Russian, Armenian and Spanish fluently. I am now learning Mandarin Chinese, which is pretty addicting! SAIAN Neuropeptide Growth Factor Serum contains Hyaluronic Acid, and five of the most potent biomimetic peptides currently available to address the affects of aging on the skin. Using the latest Biomimetic technology, SAIAN Neuropeptide Growth Factor Serum delivers 5 of the newest peptides into the skin, lifting, hydrating, reducing wrinkles, and prolonging the effects of Botox® injections. The peptides we use are inspired by nature, and identical to the growth factors found in human placenta. With time, our natural peptides lose their effectiveness, which is why our skin starts to look older. To correct this, we have discovered that polypeptide chains can be boosted to produce more stable and effective molecules called biomimetic peptides. Plant stem cell extracts modulate pro-inflammatory cytokine production following exposure to ultraviolet radiation. They suppress UV-induced free radicals—evident by their high oxygen radical absorbance capacity (ORAC) scores that contribute to oxidative stress involved in the destructive cross-linking of healthy collagen and elastin fibers. By inhibiting free radical generation, plant stem cell extracts protect DNA and preserve the natural order for regenerating new collagen and elastin. Ultraviolet radiation alters mitochondrial energy production in dermal fibroblasts, resulting in less energy in the form of adenosine triphosphate (ATP). This slows down cellular activities that maintain firm and smooth skin. By ramping up ATP production, plant stem cell extracts replenish energy levels to improve cellular metabolism, promote new collagen and elastin, and boost DNA repair. SAIAN remarkable Botanical Stem Cell Mask uses the latest stem cell technology to derive powerful actives from Acai Palm, Chinese Basil, and White Oak resource materials. These derivatives impart antioxidant, protectant, and anti-aging benefits. The secret is in this mask’s unique transparent, breathable, nourishing, odorless, and non-sticky film base. Simply apply by smoothing gently over the entire face, avoiding eye area, wait until completely dry, and go to sleep with it on. 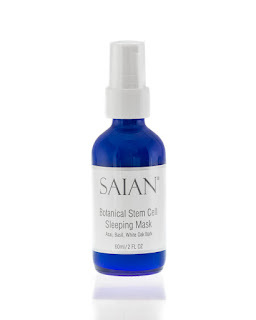 While you sleep, SAIAN Botanical Stem Cell Mask sits comfortably on the face, and doesn’t rub off on your pillow. Its hydroscopic and breathable barrier properties ensure the skin locks in moisture, and breathes uninterrupted. It is easy to remove with a light wash, upon waking up. A man’s skin is by nature extremely different from a woman’s. Most notably, it is up to 25% thicker, meaning that products formulated for men need to be stronger, with extremely active ingredients that yield powerful results. This set is designed to provide the best anti-aging, clarifying, and reviving results for an man’s skin. MANN Neuropeptide Growth Factor Serum contains Hyaluronic Acid, and five of the most potent biomimetic peptides currently available to address the affects of aging on the skin. Using the latest Biomimetic technology, MANN Neuropeptide Growth Factor Serum delivers 5 of the newest peptides into the skin, lifting, hydrating, reducing wrinkles, and prolonging the effects of Botox® injections. 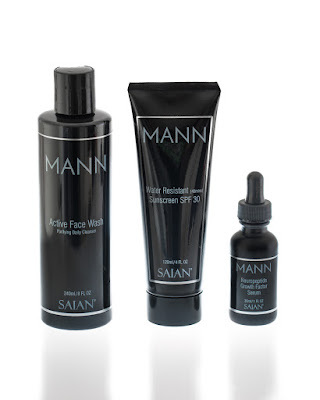 Thanks to its ingenious use of 10% Glycolic Acid, MANN Active Face Wash helps to reach deep into the skin, removing excess oil which often clogs pores. It also exfoliates dead skin cells, which helps stimulate the growth of new skin cells. Rich in natural moisturizing, skin soothing and antioxidant ingredients, this helpful and refreshing wash effectively tackles the difficult task of managing problematic skin. It successfully helps vanquish blemishes and blackheads. MANN Active Sunscreen SPF 30 (Water Resistant) was designed with longevity and the utmost effectiveness in mind. Perfectly suited for men who intend to spend long active amounts of time under the sun, this water resistant sunscreen uses the synergistic UV screening properties of Titanium Dioxide and Octinoxate to help prevent sunburn. Growth Factors, Neuropeptides, Stem Cells and Men's Products - New Items are In! New items are in! We have a new Botanical Stem Cell Sleeping Mask, men's line, and a Neuropeptide Growth Factor Serum (for men and women) which prolongs the life of Botox injections using 5 biomimetic peptides. These products are the hottest in anti-aging peptide technology, only from SAIAN Natural Clinical Skin Care. Neuropeptide Growth Factor Serum contains Hyaluronic Acid, and five of the most potent biomimetic peptides currently available to address the affects of aging on the skin. 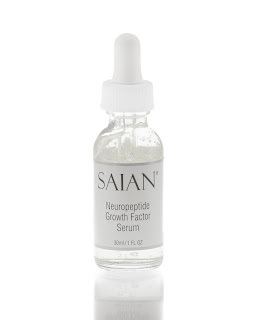 Using the latest Biomimetic technology, SAIAN Neuropeptide Growth Factor Serum delivers 5 of the newest peptides into the skin, lifting, hydrating, reducing wrinkles, and prolonging the effects of Botox® injections. The peptides we use are inspired by nature, and identical to the growth factors found in human placenta. With time, our natural peptides lose their effectiveness, which is why our skin starts to look older. To correct this, we have discovered that polypeptide chains can be boosted to produce more stable and effective molecules called biomimetic peptides. Biomimetic Peptides mimic the function of growth factors as messengers in the skin, allowing the epidermis and dermis to communicate more efficiently. When our intelligent Biomimetic Peptides are infiltrated into the skin, they naturally work on the different levels of the damaged skin and help it to regenerate itself without producing toxic side-effects. What’s even more remarkable, our new incrdible serum is able to prolong the effects of Botox® injections by months, allowing for less frequent visits to the doctor. Absolutely pure and active. Perfect for both men and women. New SAIAN Pumpkin Spice Mask is Full of Vitamins and Nutrients! We have a BRAND NEW mask out, and it's amazing! 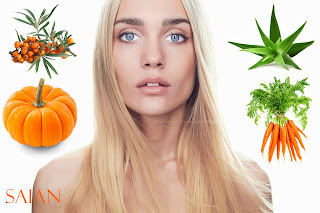 Saian Pumpkin Spice Mask is based on fresh pumpkin, hydrating vegan hyaluronic acid, aloe vera, carrot seed oil, and (SURPRISE!) sea buckthorn! Did you know that sea buckthorn contains vitamins B1, B2, K, C, A, E, folic acid, over 60 antioxidants, and at least 20 minerals?It's one of our Russian traditional superfoods, and grows in Siberia. It's harvested in October and early November, and NOW is the time to enjoy it in this amazing mask! Make November your skin's most amazing month, and nourish it with our brand new mask. Not everyone realizes it, but sunscreen is necessary whenever you’re outdoors. Dermatologists strongly recommend using a sunscreen with an SPF 15 or greater year-round for all skin types. Even on a cloudy day 80% of the sun's ultraviolet rays pass through the clouds. Those who ski or spend time in the mountains during the winter should also be cautious - ultraviolet radiation increases 4% for every 1,000-foot increase in altitude. A great way to limit the risk of sunburn is to get outdoors in the early morning or the late afternoon when the sun is lower in the sky. Another way to add additional protection is to wear opaque clothing - shirts, hats, shorts and pants, reduce the risk of burning by 27% by shielding your skin from the sun’s UV rays. Early synthetic sunscreens were first used in 1928, and the first major commercial product was brought to market in 1936 by the founder of L'Oreal, French chemist Eugène Schueller. During the same period, Hamilton Sunscreen came to the Australian market in 1932, developed by chemist H. A. Milton Blake. The Sun Protection Factor (SPF) displayed on the sunscreen label ranges from 2 to as high as 50, and refers to the product's ability to screen or block out the sun's harmful rays. For example, if you use a sunscreen with an SPF 15, you can be in the sun 15 times longer that you can without sunscreen before burning. This may sound like an easy concept, but consumers need to be aware that SPF protection does not increase proportionally with an increased SPF number. According to the American Melanoma Foundation, while an SPF of 2 will absorb 50% of ultraviolet radiation, an SPF of 15 absorbs 93% and an SPF of 34 absorbs 97%. The SPF number on sunscreens only reflects the product's ability to screen UVB rays. At present there is no FDA-approved rating system that measures UVA protection levels. Sunscreens are made up of a combination of two types of ingredients: those that reflect ultraviolet (UV) rays and those that absorb UV rays. Choose a "broad-spectrum" sunscreen that protects against UVB and UVA radiation. In the past, PABA (para-aminobenzoic acid) was one of the original UVB protecting ingredients in sunscreens. and PABA esters only protect against UVB radiation, the sun's burning rays that are the primary cause of sunburn and skin cancer. The other types of radiation, UVA radiation, penetrates deeper into the skin and causes premature aging and the formation of wrinkles. UVA screening ingredients include oxybenzone (benzophenone-3), sulisobenzone (benzophenone-4) and avobenzone (Parsol 1789). Oxybenzone is classified as a "chemical" sunscreen agent. It helps preserve the integrity of other cosmetic ingredients, preventing their deterioration under the sun, so for this reason, oxybenzone is most often used in products in conjunction with other ingredients. Sulisobenzone (benzophenone-4) is approved by the FDA in concentration of 5% and in Canada is approved by Health Canada at concentration of 6%. It works to filter out both UVA and UVB rays. Making sure to wear sunblock is crucial, but it also very important to protect the lips. According to the Skin Cancer Foundation, the lips are highly susceptible to two of the most common skin cancers - basal and squamous cell carcinoma. The lower lip is more prone to cancerous events, and males are 3 to 13 times more likely to develop cancer due to the nature of their occupation, alcohol, and tobacco usage. Did you know that the darker the skin pigmentation, the higher the skin’s protection is from UV rays? In fact, skin cancer rarely develops in people with highly pigmented skin. Melanocytes (melanin-producing cells located in the stratum basale of the skin's epidermis) are the cells that synthesize melanin through a 4 stage maturation process called melanogenesis. Melanogenesis leads to a long-lasting pigmentation, which is in contrast to the pigmentation that originates from oxidation of already-existing melanin. All races have the same number of melanocytes (typically, between 1000 and 2000 melanocytes per square millimeter of skin). The difference in skin color between lightly and darkly pigmented individuals is due not to the number (quantity) of melanocytes in their skin, but to the melanocytes' level of activity, and in the size and distribution of melanosomes. Melanosomes of darker, deeply pigmented skin are large, singly dispersed, and packed with melanin. 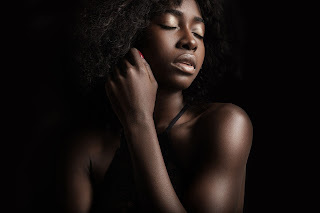 Dark skin, especially that of people of African descent, has the most mature melanosomes. This type of skin has melanosomes in every layer of the epidermis. As many of us know, UVB rays trigger the synthesis of Vitamin D, otherwise known as the sunshine vitamin. According to recent Harvard University data, an estimated 1 billion people in the US are low in Vitamin D. One study found that Vitamin D deficiency was a contributing factor in recurrent major depressive disorder with seasonal patterns - a form of depression that only occurs during certain times of year. Another study found that vitamin D deficiency was linked with faster growth of breast cancer cells in mice. · Impaired immune system functioning, which puts you at a higher risk for infection. · Rickets, a condition that most commonly occurs in children that causes bone softening. · Insulin resistance, which affects your ability to use insulin to process blood sugar. · Thin or brittle bones, which increases your risk for osteoporosis. The Institute of Medicine has set the Recommended Dietary Allowance (RDA) of Vitamin D at 600 IU for everyone under the age of 70, and 800 IU for adults over 70. Many experts believe that's too low, and your physician will most-likely advise 2,000 IU daily, especially if you have low blood levels. 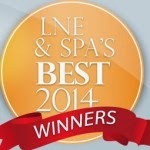 Dasha Saian is the co-founder and current CEO of SAIAN® and has over 17 years of experience in the spa industry. In addition to her Business/Marketing degree, she is a licensed Esthetician, certified Nutrition and Wellness Consultant, official Ambassador of the Aesthetics International Association (AIA), and certified Family Herbalist. Dasha gives lectures and classes internationally and regularly contributes to global trade publications. She is an expert adviser on natural living, alkaline diet, alternative oncology protocols, and positive body image. Visit Dasha's profile on Pinterest.